The generated page is opened with this relative URL: /MyApp/mycapability/mypage/mypage.xhtml. When you want to get shorter URLs you have to set the context-root of your web application to / or you have to run your web application behind a webserver or proxy that is capable to rewrite URLs. DESKTOP … this is deprecated since it uses <p:layout> which is deprecated. RESPONSIVE … a simple and free responsive template, provided by Generative Software. The software architecture of generated applications allows to extend the list of available templates by other PrimeFaces premium layouts or by your own template. This is not an easy task, though. You need to have a good understanding of the inner workings of the template mechanism. You choose a template by implementing Template getDefaultTemplate() in AppLayoutCustomization.java in your web application project. If you don’t implement this, DESKTOP will be chosen since it is the default template. The list of supported templates is going to grow over time. Promising candidates are further PrimeFaces Premium templates, the new free themes Nova and Luna and the Admin Template of adminfaces. If you want to implement your own template, please contact us so we can help you implementing it. 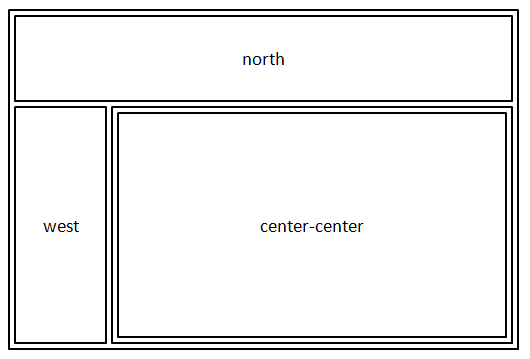 All of the above templates in principal divide the screen estate of a web page into at least five logical areas: north, west, center, east, south. It is important to note that every template has its specialities. 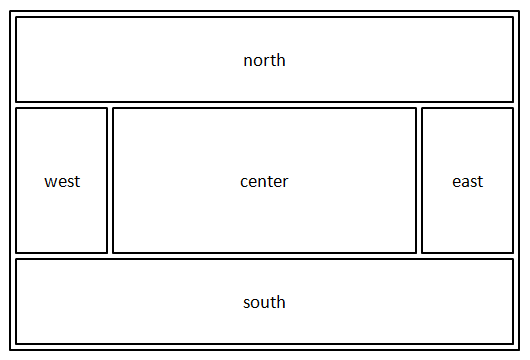 PrimeFaces Premium templates for instance do always have north and west sections and they feature more fine grained sections than only north, west, center, east and south. The file [layout-name]_generated.xhtml is the most important one. It holds all input components for a specific web page. All other files listed above are either simple placeholders or hold template functionality. In case you want to manually change the content of the generated file [layout‑name]_generated.xhtml, you have to create a copy of it (e.g. [layout‑name]_custom.xhtml) and manually change the method implementation of the method getXhtmlInclude() in [layout‑name]BeanCustomization.java in the web fragment project. A more powerful way to do this customization is to use so-called Layout Variants. Often it is not required to manually modify …_generated.xhtml at all. There are plenty of ways to customize a web page by writing Java code in the generated managed bean classes. This functionality still works, but only for the templates DESKTOP and RESPONSIVE. It is deprecated since it quickly becomes unmanageable due to the sheer number of entries in the web.xml file. And it has no dynamic aspect: If you for instance have a web application with 10 pages and one single application menu, you would have to make 10 entries just to show that menu for each page. In a web application project you can write code to control, which content should be displayed in the various page sections by implementing the following methods of the LayoutCustomizationI interface, which is found in the common web fragment component. All page section names are available through the Java enumeration PageContent. It is useful to use the enumeration instead of hard-coded strings. Otherwise you might use an incorrect section name and maybe are surprised that your web page is not shown as expected. The California template also features a ‘right sidebar’ that hovers over the web page when you click on a menu button. That menu button is not shown in the above picture. You activate this feature and make the additional menu button appear by returning true from isLayoutEastRendered(). The content of the right sidebar can be determined with the implementation of getXhtmlSource(). For more details on this, simply read on. The generator JSF Application generates a Java file AppLayoutCustomizationBean.java that implements the LayoutCustomizationI interface. Therein you can manually write code to do the customization. The methods isLayout[section-name]Rendered() let you switch off certain sections by returning false. For every call of those functions that returns null, the default configuration of the web page in the web fragment component is being applied. The following table lists the methods of AppLayoutCustomizationBean.java and describes their purpose. In general, when a method returns null, it means that the default value that is set in the web fragment component is being applied. Boolean isLayoutNorthRendered(UIViewRoot view) If this returns false, the northern part of a web page (typically, contains a menu) is not rendered. Note that for the PrimeFaces Premium templates this method is not used at all. Those layouts always have a northern part. Boolean isLayoutEastRendered(UIViewRoot view) If this returns false, the eastern part of a web page is not rendered. Note that for the PrimeFaces Premium templates the eastern part is not a static page section but one that hovers over the web page by clicking on a menu button on the right side of the north section. Boolean isLayoutSouthRendered(UIViewRoot view) If this returns false, the southern part of a web page is not rendered. Note that for the PrimeFaces Premium templates the southern part of a web page is called ‘footer’ (footer.xhtml). Boolean isLayoutWestRendered(UIViewRoot view) If this returns false, the western part of a web page is not rendered. That part of the web page normally holds the application menu. Note that PrimeFaces Premium templates are designed in a way such that all web pages show an application menu on the west side. Boolean isLayoutCenterRendered(UIViewRoot view) If this returns false, the main/central part of a web page is not rendered. The only thinkable reason why it could make sense to return false from this method, is to be able to start with a totally empty space in the center of a web page. 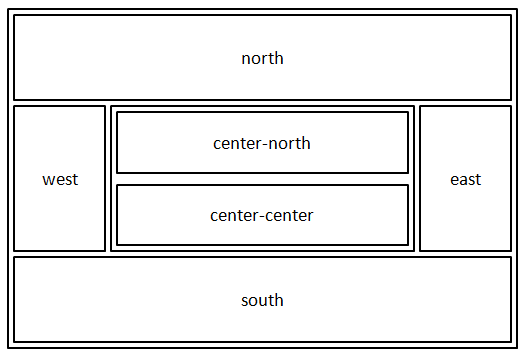 Boolean isLayoutCenterNorthRendered(UIViewRoot view) If this returns false, the main/central part of a web page does not display special content on the northern part of the main/central part. 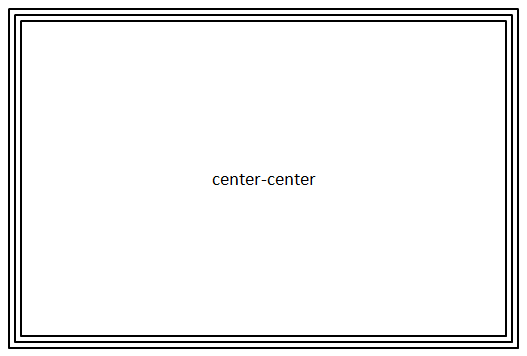 Boolean isLayoutCenterCenterRendered(UIViewRoot view) If this returns false, the main/central part of a web page does at most show special content on the northern part of the main/central part. Boolean isLayoutTopMenuRendered(UIViewRoot view) This only works for PrimeFaces Premium templates. If the method returns true, the northern part of a web page features a menu. 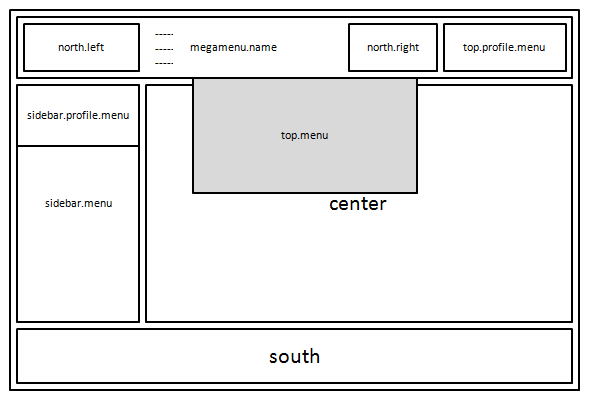 In case of the PrimeFaces Premium template, this is a so-called ‘mega menu’ (<p:megaMenu>). Boolean isLayoutDeveloperBarRendered(UIViewRoot view) If this returns true, the so-called Developer Bar, implemented by developerBar.xhtml and DevelopmentBean.java, is displayed between the northern part and the central part of a web page. Boolean isLayoutRouteBarRendered(UIViewRoot view) This only works for PrimeFaces premium templates. If the method returns true, a small band is being displayed right underneath the northern section of a web page. The PrimeFaces Premium layout has this feature, but in the runtime framework this has not yet been generalized. String getXhtmlSource(UIViewRoot view, String key) This method returns the path of XHTML files, depending on the passed page content id. This is the central point where you can programmatically determine the web page content. String getStyles() This method returns styles that are used as additional in-line styles for all web pages. String getTemplateFile(UIViewRoot view, String key) This method returns the template file to be used for the given page. This method only needs to be implemented when you want a customized template to be used for a really special web page. String getTemplateEmbeddedFile(UIViewRoot view, String key) This method returns the template file to be used for the central part of the given page. This method only needs to be implemented when you want a customized template to be used for a really special web page. Template getDefaultTemplate() This method determines, which template is going to be used by all web pages of the web application. If this method is not implemented, the template Template.DESKTOP is going to be used. Boolean isGlobalTooltipUsed(UIViewRoot view) If this method returns true, a global <p:tooltip> component is activated in the template. Enabling this is the easiest and most efficient way to get powerful tooltip functionality for almost all of the UI components that you use. String getStylesheet(String key, Template template) You find a detailed description of the ‘Styling’ feature that also covers this method. String getTheme() With this method you determine the theme to be used for the web application by returning the theme name. You find more information about themes in the detailed description of the ‘Styling’ feature. Boolean isDarkMenu() Only for PrimeFaces Premium templates. Determines whether the dark or light menu mode is being used for the western part of the web pages. Boolean isGradientMenu() Only for PrimeFaces Premium templates. Determines whether the gradient menu mode is being used for the western part of the web pages. Boolean isDarkMegaMenu() Only for PrimeFaces Premium templates. Determines whether the dark or light menu mode is being used for the mega menu within the northern part of the web pages. Boolean isGradientMegaMenu() Only for PrimeFaces Premium templates. Determines whether the gradient menu mode is being used for the mega menu within the northern part of the web pages. String getMenuLayout() Only for PrimeFaces Premium templates. static => the western part of a web page consumes screen estate and thus limits the remaining space for the rest of the page. overlay => the western part of a web page overlays the rest of the web page and thus does not limit the remaining space for the rest of the page. String getProfileMode() Only for PrimeFaces Premium templates. inline => The profile menu is displayed within the western part of a web page. topbar => The profile menu is displayed on the right side of the northern part of a web page. When you want to provide some variants of a web page in a web fragment component, such that the web page always uses the same set of managed beans, you can configure a set of XHTML file variants. Those variants might for instance have the same JSF components but in a different order or in a different position. Another use-case is to provide one variant of a web page for desktop use and one for being used on a smartphone. The layout variant functionality has the purpose to provide those variants in a shared component, a web fragment component. Then let a developer of a web application choose one of the variants. To come up with your very own version of an existing web page, without making it available to be used in other web applications, you should rather use the web page content customization functionality that is described further above.